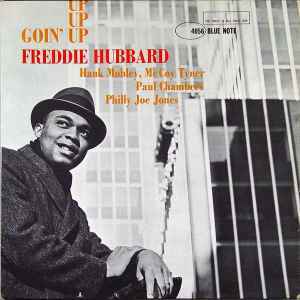 Freddie Hubbard's second set as a leader for Blue Note picks up where his first, Open Sesame, left off with lots of fine, supercharged hard bop. Hubbard's cast of foils are refined on this outing, though, with only pianist McCoy Tyner holding over. Tenor saxophonist Hank Mobley, a Blue Note stablemate, brings not only a pair of compositions but some superlative blowing. The two horn men definitely bring out the best in each other here. Tyner's finest moment can be found on the balled "I Wish I Knew", where he contributes some of the most lyrical playing of the set. The inimitable engine room of Paul Chambers on bass and Philly Joe Jones on drums round out the quintet. Blue Note's output of this era is so consistently strong it is very easy to take individual titles for granted. This one merits multiple listens. Hard Bop / Soul Jazz / Post Bop by Satchamo.